If you’re anything like me, you probably have tons of pictures sitting around on your computer, hard drives, flash drives and discs that really should be hanging on your walls! Sometimes it’s hard to know what to do with all your pictures after a family photography session. So I thought I’d throw out some ideas to maybe inspire us all to get these pictures up on the walls where they can be enjoyed. 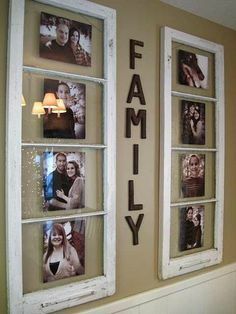 This is a cute idea using some old frames! You could leave the glass in, or remove it. You could also size the pictures to fit into the frames. The wall decals are available all over the place. I’ve seen lots of really cute ones on Etsy! These look to be 12×12 square canvas wraps. I love how they added in the ones with just the text. This is a great collage of black and whites! 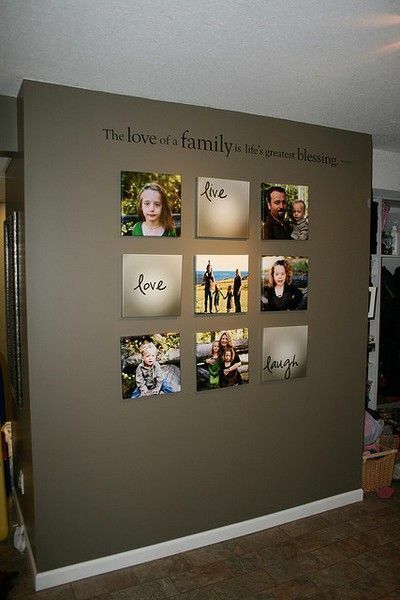 Using different sizes to create one large collage is a great way to add a bunch of pictures that flow together. I normally suggest keeping all your black and whites or colors together, and not mixing them up in the same display. These little white frames look great with the black and whites in them! This is another great example of using different sizes together to create a square collage! These images flow perfectly with each other! Using images that are all taken at one location or setting flow the best together. You wouldn’t want to add in a random picture of your children in trees into these beach pictures as it would totally ruin the flow. How cute are these big scrabble like letters with the kids names? Some great ideas for your stairways! I’ve always found it hard to put pictures on mine. Do I go up at an angle with the images? Do I group them together near the bottom? I never know what to do with them! 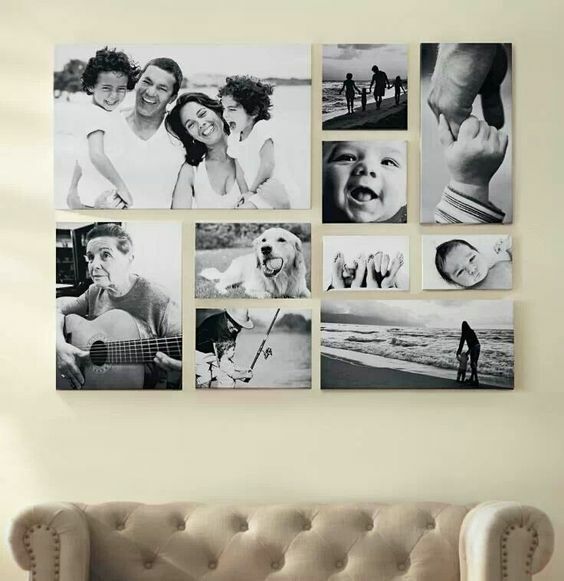 These are all framed examples, but this could work just as well with canvas wraps. Lots of collages and framed options! I like how other elements are added into some of these to break up the frames and pictures.